Sipping on your favorite glass of wine and unleashing your creative side is a therapeutic experience. After a long week, consider one of Texas’ excellent paint and wine options to enjoy a night out with friends. The combination of art class and wine is a welcome one for many. Here are the 10 best spots for paint and wine in the state. Cheers to Paint in Odessa brings together wine and painting by not only offering up a variety of classes, but allowing visitors to bring their own drinks along for the ride. Featuring private parties, summer camps, and open paint sessions—along with wine and paint classes to incorporate the two concepts. An actual professional artist is on hand as well to help less experienced painters get through their latest work, and there's even the option to work with pre-sketched canvas to make things easier. The oddly-appropriate Grapevine is the location of the day for Painting with a Twist, though several other outlets seem on hand here. Painting With a Twist incorporates painting with a bring your own bottle wine option to make for a complete package. Private parties and special events round out the package and give guests a wide range of options. It's even possible to buy gift cards for those who want to give the gift of a night out with art and booze. Tyler is home to Pinot's Palette, though other locations are available here. A bring your own bottle studio—though ice is provided along with glasses, cork screws and even bottled water—Pinot's Palette offers up several other options as well. With age-appropriate classes—though no one under 12 is permitted—along with special events and even some bingo getting involved, Pinot's Palette is clearly ready to be a big part of a night out for a lot of people. Try the “Paint it Like a Ross” section if you want to feel more like the laid-back stylings of PBS master Bob Ross. It's back to the appropriately-named Grapevine for Art in the Vine, a bring your own bottle line of painting classes that's a match for most any already named herein. A slate of special classes, along with the ability to host team building events, makes this a particularly versatile offering in the field of paint and wine options. There are even family-friendly events to get the kids involved, which will be especially welcome for some. Bottle & Bottega in Flower Mound offers a slate of activities that's a little more thorough than the common bring your own bottle painting operation. Not only will they introduce users to painting on canvas as well as painting your pet, but also there will be glass, brick canvas and holiday glass ornament painting options to give you access to a range of materials, media, and overall experiences. It's surprisingly complete, and makes for a full art encounter all from within one handy package. This is the place for a nice, relaxining painting experience. Just sign up for the event that has the painting you'd most prefer to take home with you, then come in and proceed to replicate that exact painting. There are even private events for the younger set, the teenage set, and even for summer camps that reach the widest range of potential artists. Cedar Park's Board and Brush offers a little something unusual in its paint and wine opportunity. Offering wine on Wednesdays—part of the “Wine Down Wednesday” promotion—it also offers just one kind of art: sign painting. That's right, Board and Brush is all about wood signage, which actually encompasses a variety of impressive options. If you're looking for something unique to keep in your home, then a bit of signage could be just the thing. Add on the wine and it's just that much better. Plano's Sip-n-Doodle, with four other locations in Texas to consider, doesn't take itself particularly seriously as the name suggests. It's an advocate of the Reckless Abandon Method school of painting—it makes that much very clear on its webpage—but offers over 500 starter images to work with. That's a great range of options, and the knowledge that the paintings can be generated in about two hours—the site cautions that it could be longer, “if we are having fun”—should make for an exciting night out that ends with a new piece of artwork. Houston is home to Merlot 2 Masterpiece, offers painting classes with that bring your own bottle sensibility we've come to know and love. 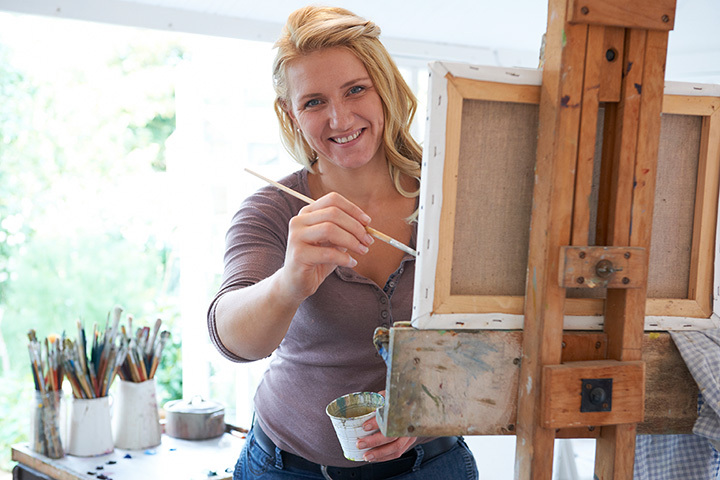 You'll have an excellent guided tutelage session here, though, as a professional artist walks you, step by step, through the creation of one particular painting. Featuring options for birthday parties, bridal showers and team-building events, you'll have plenty of occasions to get out and enjoy a night of painting and art. Recently moved to Kyle, Personal Picasso is the standard bring your own bottle affair that gives comparative neophytes to painting the ability to get in in a surprisingly friendly fashion. It's also a sace for local artists and non-artists alike to expand their capability and refine their craft. Plus, for those looking to have a work commissioned, that “space for artists” status makes this a great place to find artists as well.